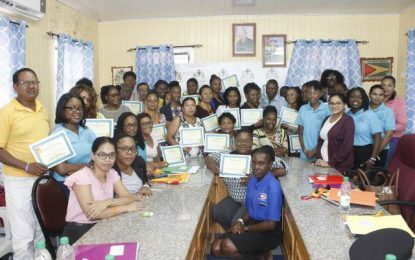 The Global Green Growth Institute (GGGI) visited Guyana during the period 28-30 January 2019, and held meetings with key government agencies, which included the Department of Environment (Focal Point), Department of Energy, Ministry of Finance, Office of Climate Change, Guyana Energy Agency and the Guyana Power & Light Inc. The mission comprised of Dr. Chan Ho Park, Regional Director of Programs for Latin America and the Caribbean, Mr. Ferruccio Santetti, Investment Office, and Mr. David Fernandez, GGGI resident energy engineer to Guyana. Back row (from left): Ms. Ndibi Schwiers (Director-Department of Environment), Mr. Ferruccio Santetti (Investment Office). Front row (from left): Mr. David Fernandes (GGGI resident energy engineer to Guyana), Ms. Sandra Britton (Renewable Energy Liaison Officer, Department of Environment) and Dr. Chan Ho Park (Regional Director of Programs for Latin America and the Caribbean – GGGI). 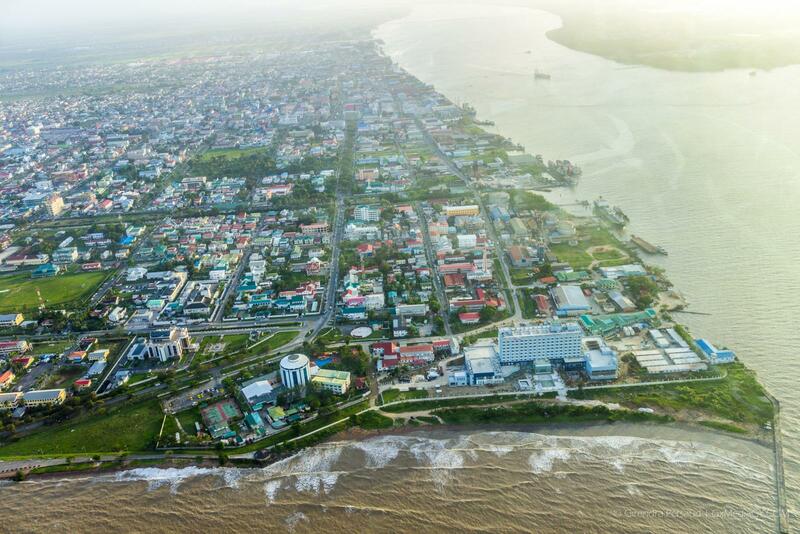 Since 2017, GGGI has been working with the Government of the Co-operative Republic of Guyana to develop an Urban Sector Solar Energy Program (USSEP). This program which was for the period January to December 2018, was successfully completed with a pipeline of projects being identified, which will see commercial and industrial companies utilizing solar roof top solutions. This project through international funding by way of a Lease-to-own business model will be implemented in 2019. Phase 2 of the project, scaling up renewable energy will run from January to December 2019. This 12-month program will consist of identifying, assessing and prioritizing utility scale renewable energy projects and identifying and strengthening up to 2 Direct Access Entities. Additionally, on 27 January 2019, the Green Climate Fund (GCF) approved funding of USD $300,000 for the 1st Readiness Program titled “Enhancing Guyana’s Access to GCF to Transition to Renewable Energy” with GGGI being the delivery partner. The project will enable Guyana to reach its targets articulated in the Green State Development Strategy, the country’s long-term, national development plan. The Department oversees the activities of environmental compliance and management, protected areas development and management, national parks management and wildlife conservation and protection and has supervisory powers over the Environmental Protection Agency, Protected Areas Commission/National Parks Commission and the Guyana Wildlife Conservation and Management Commission.